A capacitor is a device in an air conditioner that stores an electric charge, somewhat similar to a battery. Its ability to block direct current while it allows alternating current to pass is essential to the operation of your central air system. 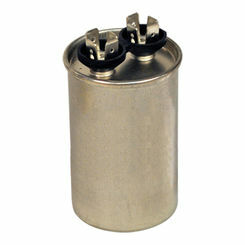 So if you are in need of an air conditioner capacitor replacement, you are in luck, because PlumbersStock carries great pricing on AC parts. 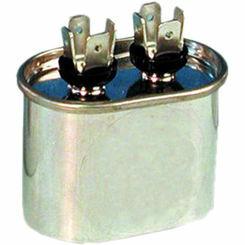 Buy the best replacement capacitors from MARS, Honeywell, etc. when you shop with the heating and cooling experts at PlumbersStock. 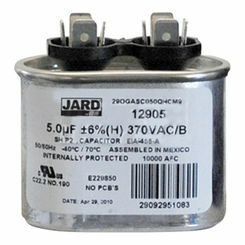 What Is an Air Conditioning Capacitor? Controlling the temperature, humidity, and air dispersion in an enclosed environment are the main jobs for your home’s AC system. If your system is working correctly, you’ll experience comfort as you receive a constant and cool indoor environment. 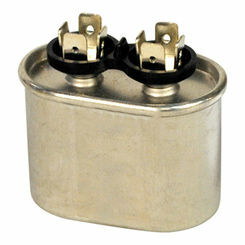 However, if your AC system isn’t working, it may be because of the capacitor. Your AC requires a capacitor to run properly. 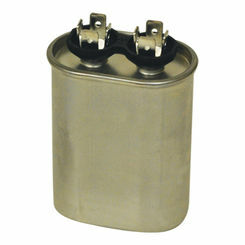 The capacitor can be thought of as a sort of battery and resembles a tin can. Like all batteries, when they stop working, the system will as well. Because of this, your capacitor is one of the most common causes for your AC to quit working, but thankfully, it’s also one of those parts that is easy to replace yourself. Your capacitor works by blocking direct current while allow alternating current to pass through. Because the capacitor works with electrical charges, it can easily get overheated during operation, especially on a hot summer day. This spike in heat temperature is often the culprit behind blown fuses and capacitors. 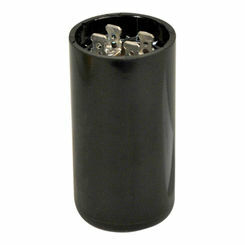 At PlumbersStock, we offer you a variety of capacitors at some of the lowest prices you’ll see on the web. We’re here to help, so if you can’t find the right capacitor, or if you have any questions, please don’t hesitate to contact our expert customer service team by chat, email, or phone. Troubleshooting: Does your Capacitor Need Replacement? Can you see the fan spinning? If your AC is humming but your fan is not working, your capacitor is likely at fault. A surefire way to check if your capacitor has blown is to use a voltmeter. However, not everyone has access to a voltmeter, so for those of those that don’t, here’s a quick and easy way to check the status of your capacitor. Since your capacitor stores power and starts the motor that turns the fan, you may be able to give your fan an initial kick-start, just enough to get the capacitor going again if it’s not blown. To do this, you’ll need to find a long, insulated, thin stick, such as a piece of wood. Slide the stick through the fan grate and gently push the fan blade. Did it spin? Did it take off on its own and keep going? If so, you most likely just have a bad start capacitor that will need to be replaced. The Logic: Your capacitor is there to boost the fan motor to start. When your AC is turned on, your capacitor is meant to release stored energy in order to kick-start the fan into action. 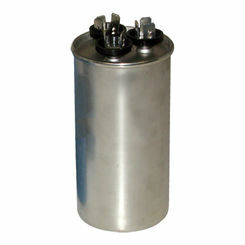 If your capacitor is faulty, it won’t always be able to get the electrical charge out to the motor. In this sense, you and your wooden stick just became the temporary capacitor. Don't hesitate another moment. 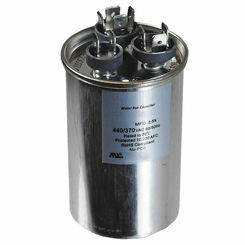 If your capacitor needs replacement, then contact us today about finding the right part to repair it. Save on HVAC replacement parts with these great prices.